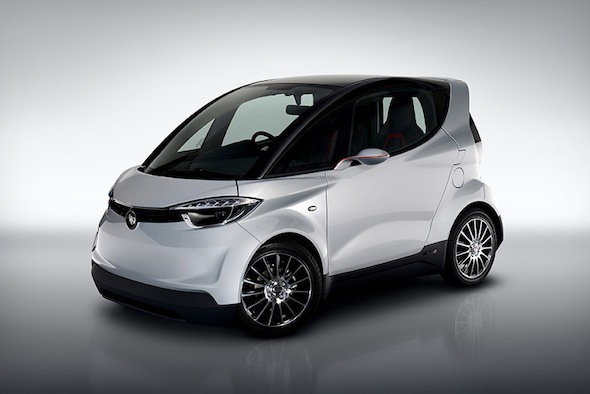 Yamaha and former technical director at McLaren Gordon Murray have teamed up to create a lightweight, two-seater city car that is not only set to revolutionise the daily commute but also the car production process. The Motiv concept pictured here is the fruit of Murray and Yamaha's lengthy collaboration that sees ultra-lightweight design fused to either cutting-edge battery technology (in the Motiv.e model) or a standard internal combustion engine. Electric variants will boast around 33bhp but the gearless layout will ensure it accelerates from 0-30mph quickly and go on to a top speed of 65mph, making it the perfect choice for busy city driving. A petrol variant will likely offer between 70-80bhp and provide the driver with a more sporting drive, which is more in line with Gordon Murray's low-powered, lightweight philosophy to improve performance and frugality. The project is very much to gauge public reaction for now but should it go into production, it will utilise Murray's iStream production process that is said to drastically reduce the cost and environmental impact of the current motorcar manufacturing methods. Murray's iStream process does away with the traditional stamped-steel, spot-welded construction process that was first introduced in the 1940s and has changed very little ever since. Simple tubular steel frames replace the bulky stamp-steel chassis design - currently adopted by most manufacturers - which are said to offer better rigidity, improved crash protection and a lighter end product. Keen eyes will notice the Yamaha Motiv looks very similar to the Smart Car currently offered by Mercedes-Benz but it is, in fact, slightly narrower and lower than the German counterpart. The Motiv is also over 100kg lighter than current Smart models, which will more than likely have a positive effect on both performance and consumption figures. "This is Yamaha's car, not ours," Gordon Murray told Autocar when quizzed on whether the Motiv would go into production. "It is up to them to decide whether it goes into production. But they're fabulous partners, and we are very optimistic for the car's prospects."